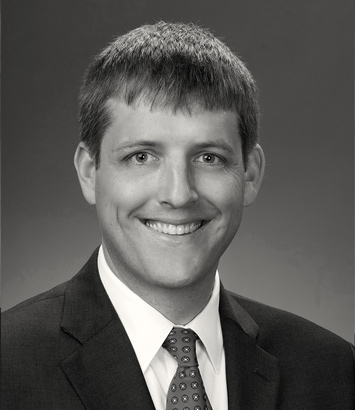 Eric Kjellander is a litigation lawyer in Dinsmore's Columbus office. Eric represents various entities involved in commercial construction projects, including developers, contractors, sureties, owners and subcontractors. He handles matters arising from the initial contracting and procurement through all phases of litigation. He has experience in contract litigation in federal, state and appellate courts, as well as alternative dispute resolution. In addition, his experience includes advising clients on the preparation and interpretation of construction documents. He recognizes issues on construction projects are varied and complex, and he handles breach of contract claims; construction defect claims; payment/performance bond claims; mechanic’s liens; indemnity actions; payment disputes; prompt pay disputes; prevailing wage issues; design defects; differing site conditions; bid protests; delay and acceleration claims; and other construction related claims. Eric’s experience also includes representing sureties in multi-project defaults, including the investigation and defense of performance and payment bond claims on private and public projects, negotiation of takeover, tender and completion agreements, and performance of completion work.